As scooped from Healthline.com on October 26, 2013. Anxiety may be treated with medications, behavior therapies, and relaxation techniques. Consider these apps to help you feel less anxious. 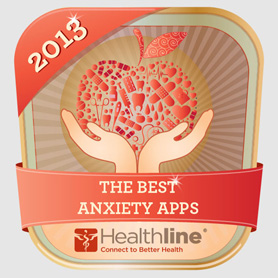 Healthline.com has a great list of Anxiety apps for iOS and Android worth perusing. Familiar apps and those unfamiliar are among the list of 17 app presented in this quick slide show. Whether you work with adults with anxiety disorders or with students with ASD who also have anxiety, there might be a mobile app that can help support those individuals. This entry was posted in Adults, Android, App Reviews, Apps for OT's, Autism, iOS, Medical, Mental Health, Occupational Therapy, Self-regulation, Uncategorized. Bookmark the permalink.